18 Super Batman Gifts Ideas for Boys - Big & Small! 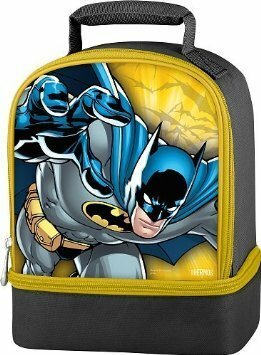 18 Super Batman Gifts Ideas for Boys – Big & Small! 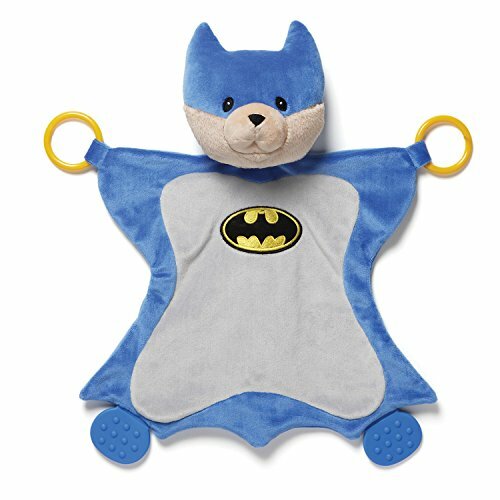 18 Super Batman Gifts Ideas for Boys – Big & Small! Do the guys in your life love Batman in all his shapes and forms? Well, today we have found some great Batman gifts for both adults and children who love Batman. These Batman gifts are sure to appeal to any man or boy who loves Batman and probably a fair few female Batman fans too! I deliberately stayed away from the basic t-shirts that just have the Batman logo on them – instead I hunted high and low to find some more unusual Batman t-shirt designs to show you. For the grown up Batman fans, these first three t-shirts have a little dark humor to them – I particularly like the poor Bat stuck to the searchlight and I’m sure many grown ups echo his sentiment! If you like Pokemon and Batman then the Pikachu/Batman design fills two slots in your geek card. 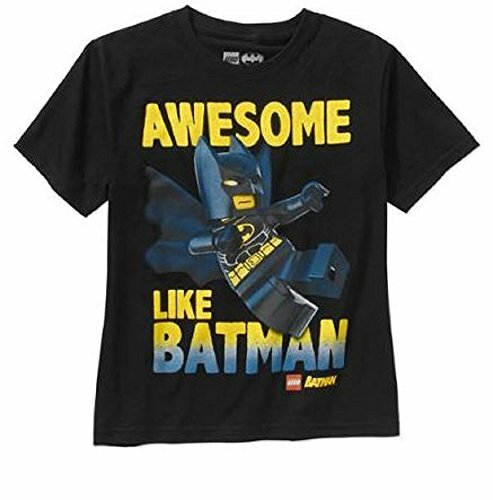 For younger Batman fans, there’s a Lego movie Batman t-shirt and a great cartoon style print of Batman too. I have to say my favorite is the Chibi style Batman t-shirt though. It’s super cute and is available on a range of t-shirts & even baby onesies. Just click through and use the drop down menu to pick a style. 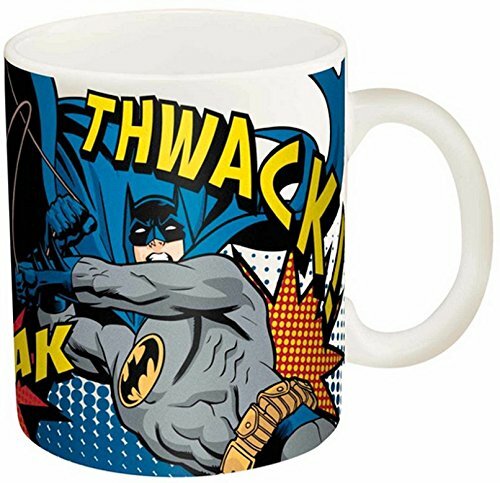 These Batman themed coffee mugs are more for grown ups rather than younger Batman fans but there are a whole range of other Batman cups and water bottles available too. 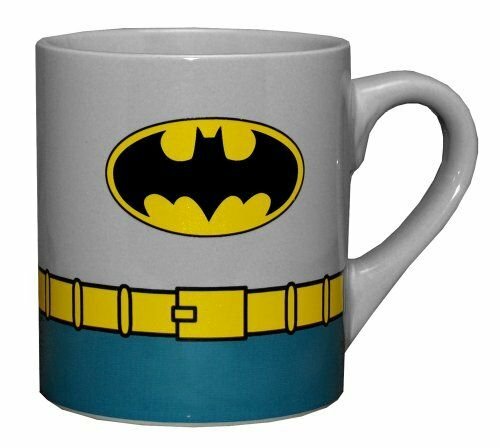 I prefer the cartoon images myself but the simple design of the Batman costume mug is very effective. 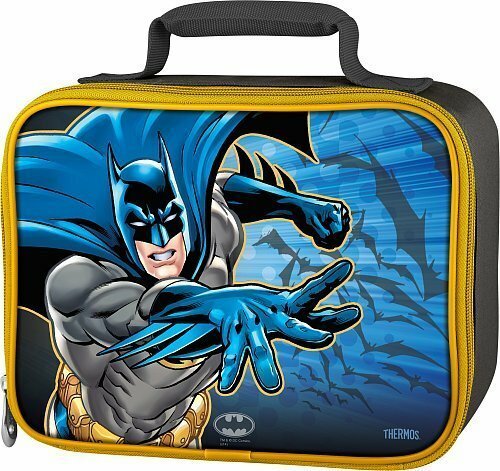 All three of these Batman lunch boxes have a cartoon strip style Batman image with yellow trim and a black base color. 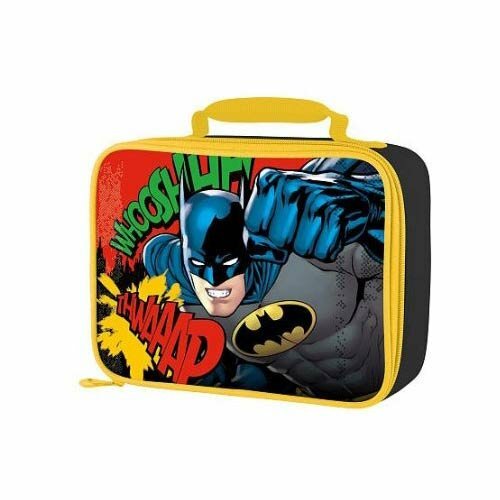 Any child who’s crazy about Batman would love one of these for his lunch box, I’m sure. 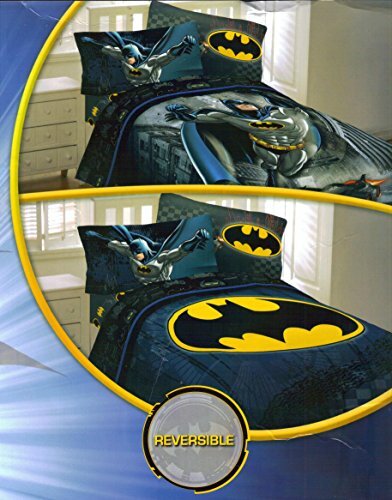 The 4 piece comforter and sheet set features a reversible Batman design on both the pillow and the duvet cover so your child can chose whether to show the logo or the Batman image. 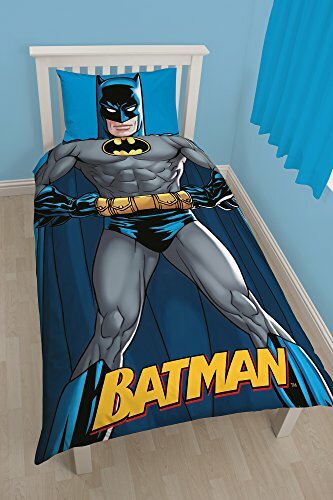 I really like the single duvet cover set though – your childs’ head will be where Batman’s head is in the photo – I bet he’d love you to take a picture of him under his Batman comforter! 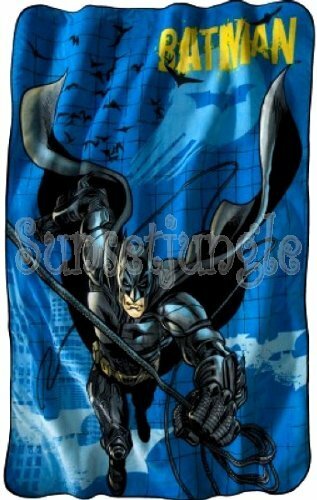 If you don’t want to go the whole way & buy a full set, this Batman microfleece blanket might be a great substitute. 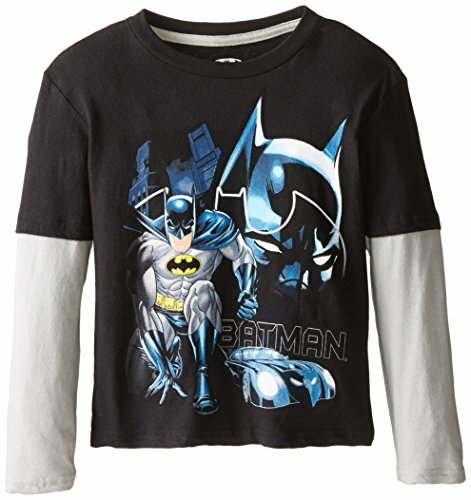 Lastly we have some great gift ideas for the very youngest Batman fans or their parents maybe? 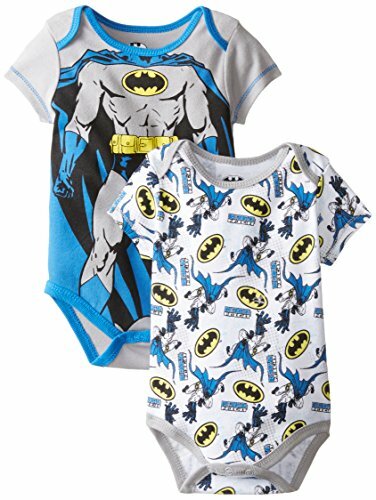 The newborn bodysuit set is super cute but I really like the Batman activity blanket. It has 2 teething rings and 2 textured rubber feet for additional activity but the best bit is the supersoft blanket body and plush head. Perfect for tummy time for very young babies. For the slightly older child, car trips just got really good! 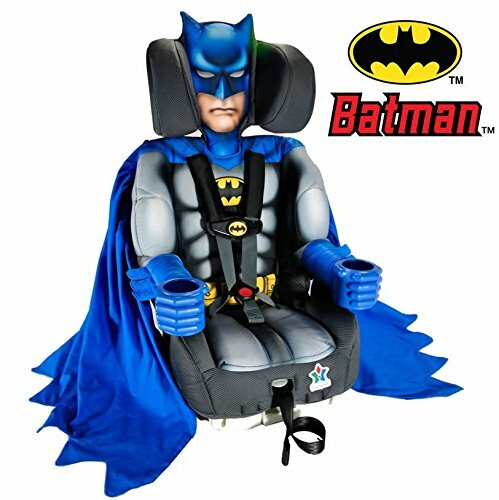 You won’t have problems getting your youngster into the car for journeys now but you might have trouble getting them out of this Batman booster car seat instead! We hope you’ve enjoyed this selection of batman themed gifts for guys, big and small but if you want to find more Batman gifts, check out our other Batman posts. There’s also a bunch of other Batman gifts included in many of our other posts – just type Batman into the search box to find those posts. 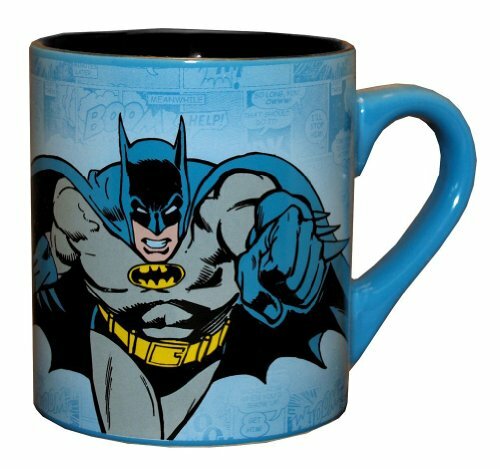 Here is another site to check out that has a ton of Batman items for sale that would also make great gifts for any Batman lover.